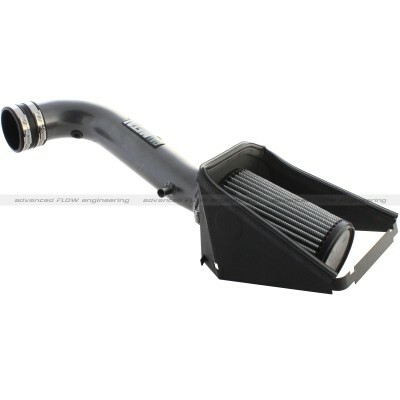 The Full Metal Power Stage 2 Intake for 2012-14 Jeep JK Wrangler V6 air intake system offers performance and a unique heat shielded airbox to draw cooler air. 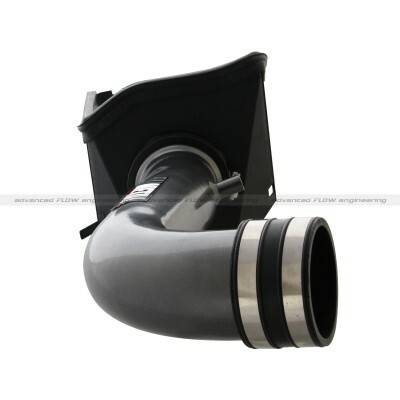 This FULL METAL Power Stage 2 cold air intake system produces 6HP and 9lbs. 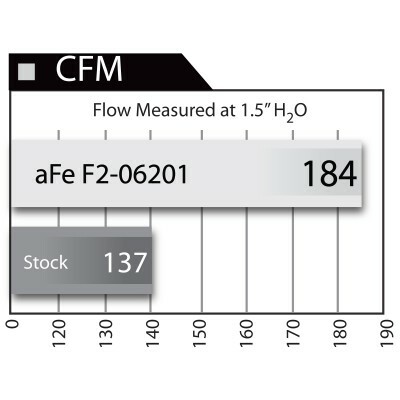 x ft. of torque and outflows the factory intake by 34%. Enclosed in the durable 18-Gauge, black powder-coated heat shield. 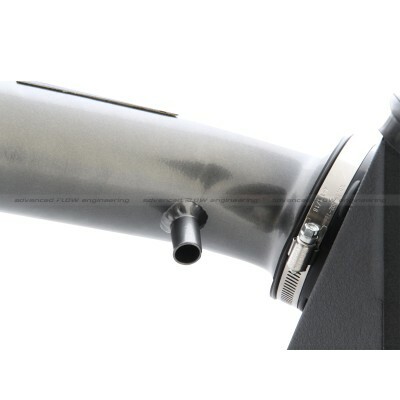 This system mounts to the lower half of the factory air box and features a patent pending unique housing to filter interface, which means less parts for a simple installation. Manufactured in durable 18-Gauge and black powder-coated, this unit features a heat shield and the system mounts to the lower half of the factory air box. This design offers a patent pending unique housing to filter interface, which means less parts, for a simplified installation. The air filter is an oil-free washable/reusable conical air filter that improves airflow increasing horsepower and torque. 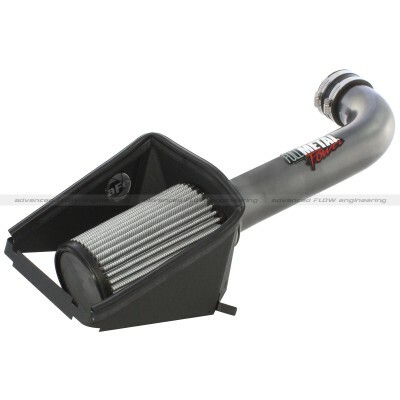 This intake system also features a gunmetal grey powder coated aluminum tube that replaces the stock intake tract and directs increased airflow with improved volumetric efficiency for maximum performance. The Full Metal Power Stage 2 intake system outflowed the factory intake by 34% and produced an additional +6 HP and +9FT/LB Torque. Note: This system is not legal for street use in California and cannot be installed in a California registered vehicle.